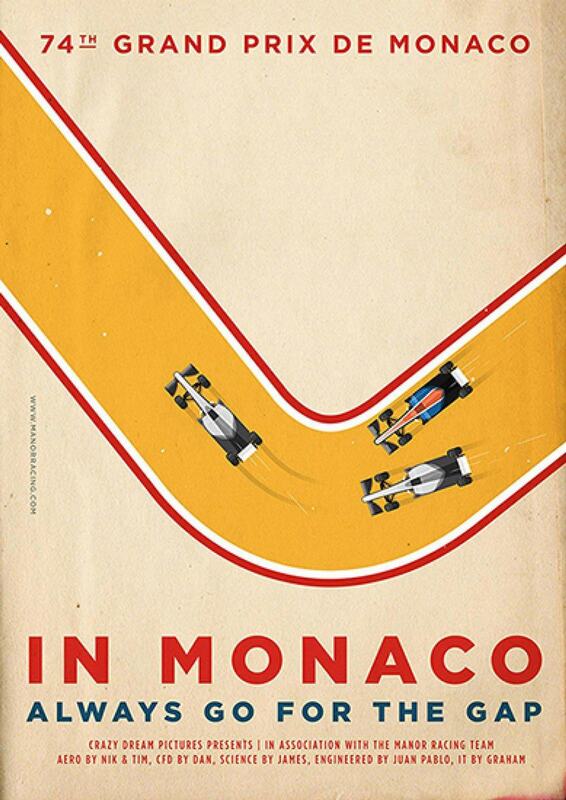 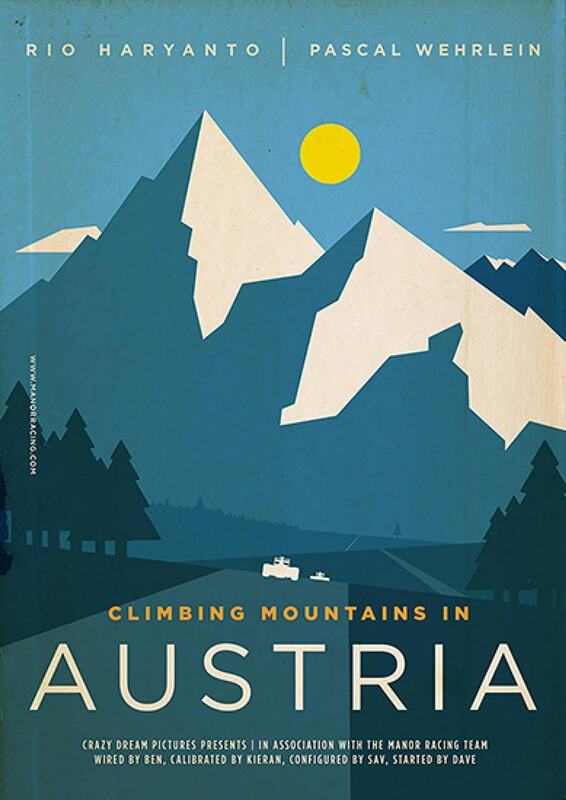 This epic collection of Race Posters, from Manor Racing Team, is an extraordinary treasure trove of gorgeously designed, vintage style, Formula One posters. 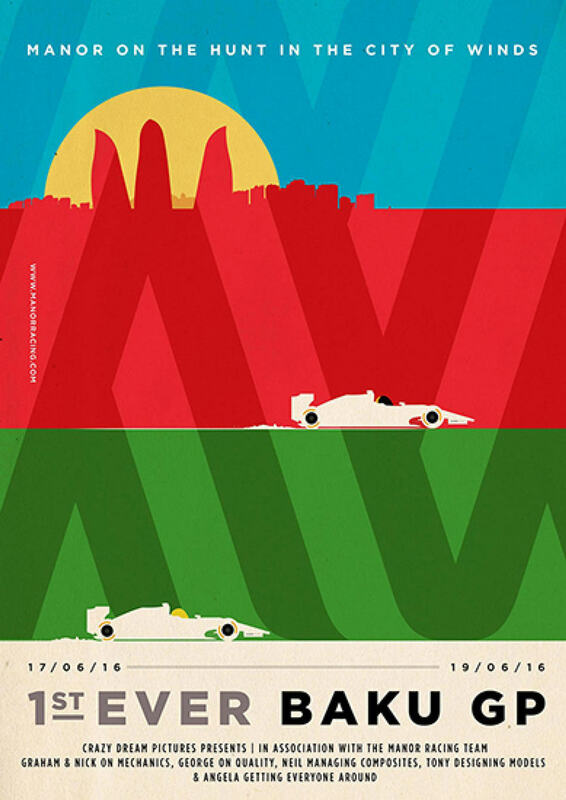 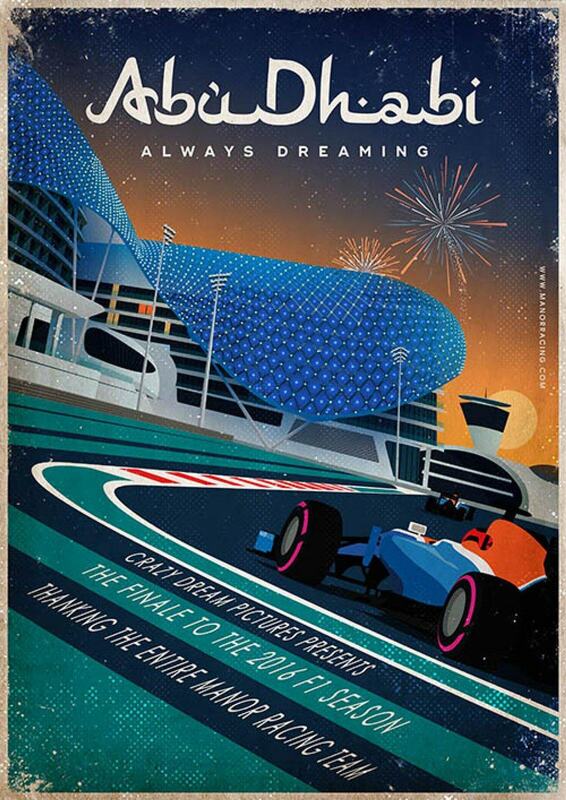 All of these race posters depict the F1 races from this past year of races (2016), and were all designed by the folks from the F1 Manor Race Team. 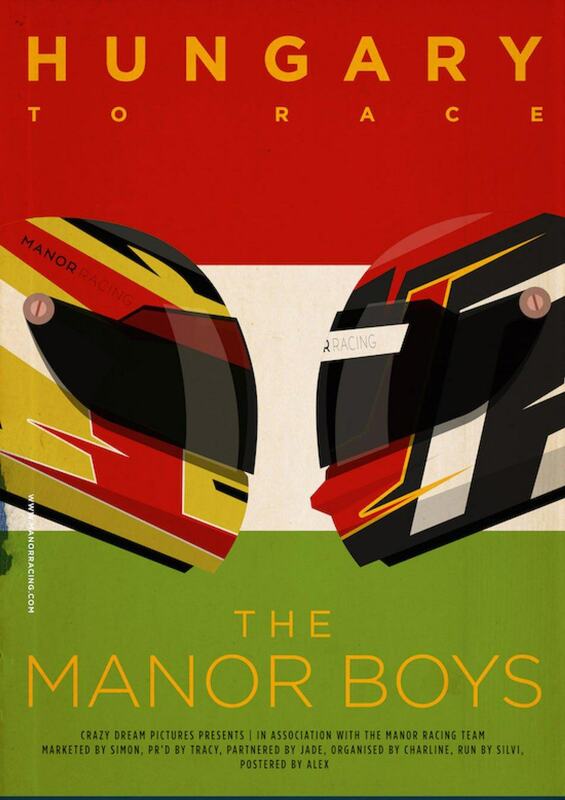 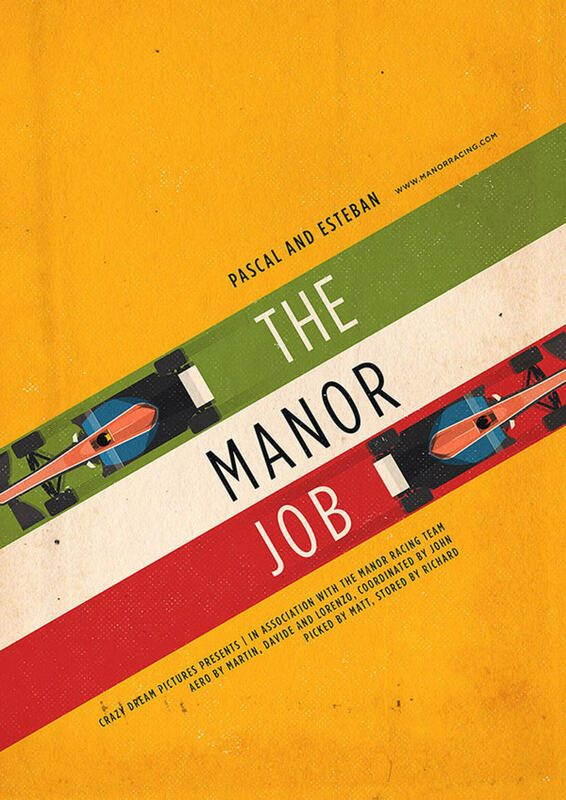 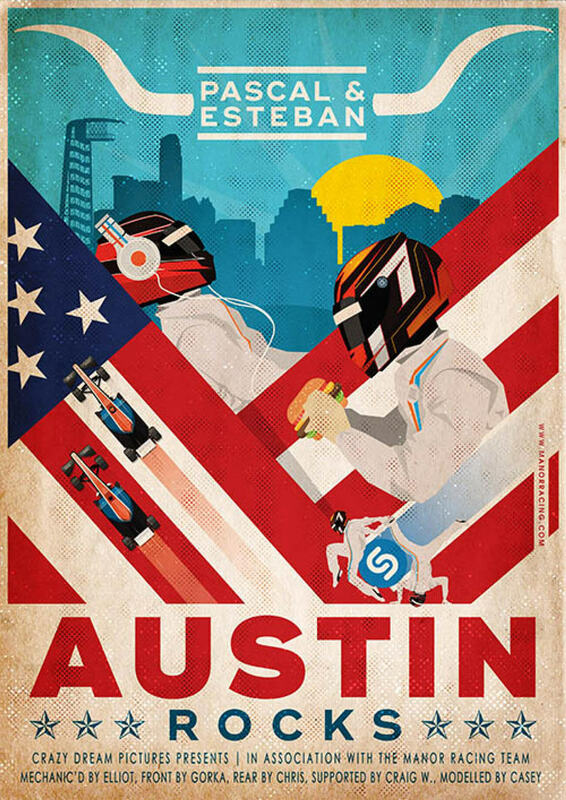 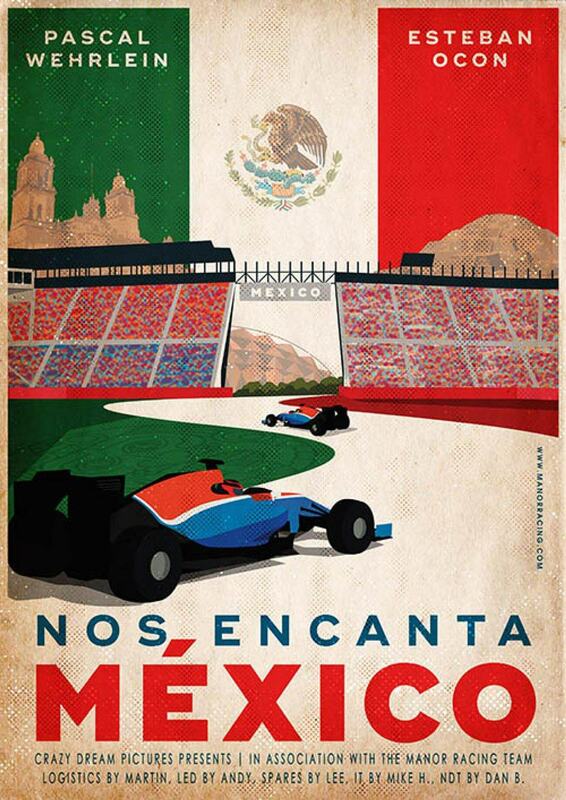 Each of these F1 posters has been designed in the style of a vintage movie poster, and depicts the two lead actors/drivers: Pascal & Esteban, for each of the various races across the globe. 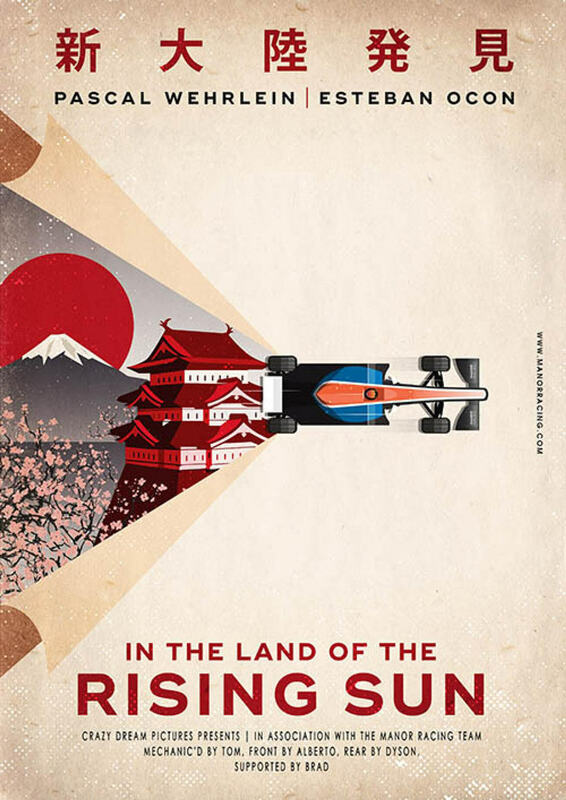 Each of these posters was developed at the time of each race, then uploaded to their blog and made available as a high resolution download, as well as posted to their Instagram feed. 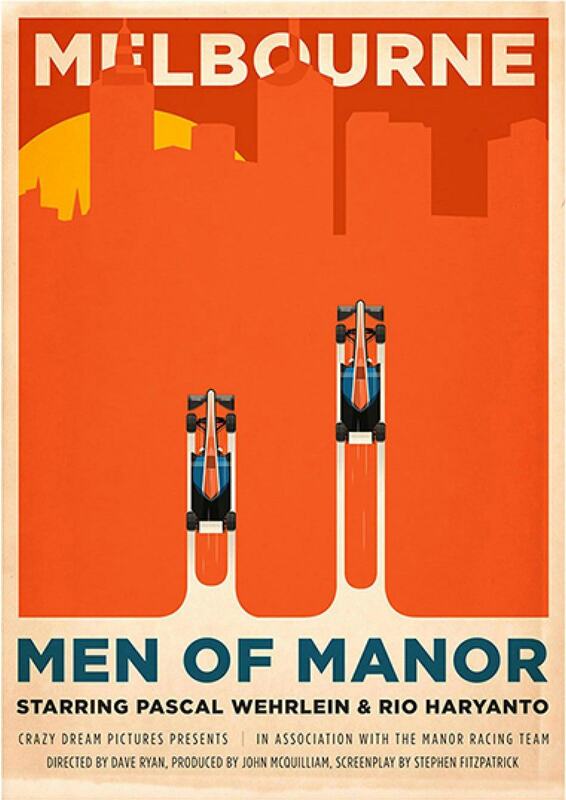 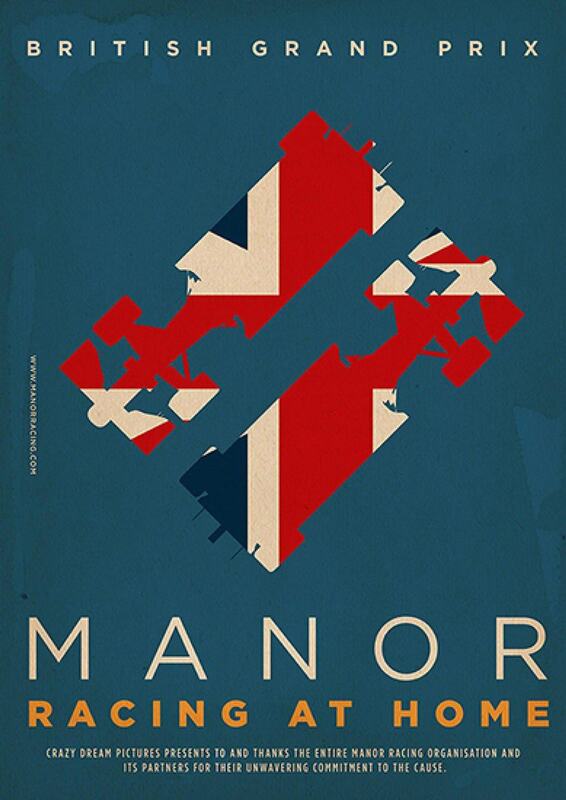 I’ve only uploaded a handful of these posters below, so visit this following link: http://www.manorracing.com/ to view the complete collection, and also download as high resolution versions.